If you’ve always dreamed of living by the ocean here is your opportunity to turn that dream into reality. We have many fine Holden Beach homes for sale that are well suited for any size family. Plus, you can choose to live as close to or as far from the oceanfront as you’d like – it’s all up to you! 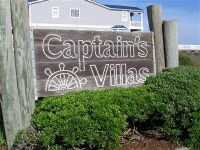 One of our oceanfront Holden Beach homes for sale is located in Captain’s Villas on Ocean West. Living here you’ll have completely unobstructed ocean views from the rear covered porch, the ocean just mere steps away. It’s a wonderful place to raise a family or even to spend your retirement. This property has been professionally remodeled including walls, ceilings, and a new kitchen countertop. Additionally, new hardwood, ceramic tile and carpet has been installed. The home comes furnished and this location has a great rental history, in case you were considering it to use as a vacation rental. Amenities at Captain’s Villas include an outdoor swimming pool, tennis, private beach access with oceanfront deck, and ownership of Captain’s Villa Holden Beach homes for sale includes POA oceanfront lots. 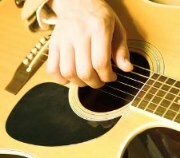 Every Sunday night through September 2, 2012, come out and enjoy the free Holden Beach Concerts starting at 6:30 p.m. Music ranges from beach music to jazz to a marine corp band. All concerts are free and are held at the Holden Beach Pavilion. Refreshments are on sale to help fund the events. We hope to see you there!